There’s nothing quite like the flickering flames and the soothing glow of a real fire. It warms your heart as well as your home. And now, it’s cleaner and more efficient than ever. With the growing demand for renewable energy solutions, solid fuel and biomass appliances are becoming more and more popular. Today's wood-burning stoves provide heat for the heart of any home and may surprise you with their efficiency and cleanliness. When you buy a stove, always make sure you choose one with the CE mark, so you're assured that it meets the current European safety and efficiency standards for stoves in the UK. The CE test procedure involves testing everything from construction and safe operation to efficiency and heat output. If you get a stove that has too high an output for your home, you may end up opening windows to cool it down - or you may have to run the stove at a lower temperature, which will create more tar and smoke and ultimately operate less efficiently. Wood burning stoves - these allow you to burn well-seasoned logs, which not only give you a great fire but also create a sense of warmth in the room. 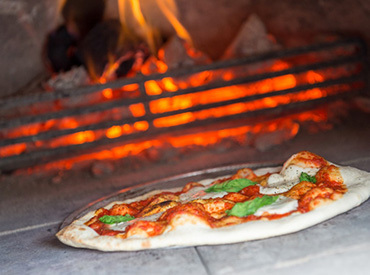 A wood-burning stove is usually built without a fixed grate, but with a flat base. As the wood burns, the ashes are collected, and when the fire needs more fuel, fresh logs are placed on top. The effect is hugely positive for wood burning because logs combust more effectively and evenly when resting on a bed of ashes, giving you maximum efficiency and heat output from your wood-burning stove. N.B. If you live in a smoke-controlled area, you will need a DEFRA-approved stove to burn wood. Multi fuel stoves - these give you the option to burn either wood or a smokeless fuel, which is a very efficient method of heating your home. They are designed to burn a wide range of materials such as wood logs, smokeless fuels and peat/turf briquettes. Again - if you live in a smoke-controlled area, you will only be able to burn smokeless fuel, such as anthracite coal. A multi-fuel stove doesn’t just save you money on your heating during the winter months. You can also benefit during the in-between seasons when you need some heat but don't need your whole heating system turned on. The heat output of a multi-fuel appliance will be similar - if not identical - to that of a wood-burning stove. And both types are highly efficient. Look for a multi-fuel stove that has primary and secondary (sometimes called 'airwash)' air vents. These allow you to control whether more air circulates from above or below, depending on the type of fuel. Small wood-burning stoves - these are stoves with a heat output of 6kw and below. They are ideal for heating smaller rooms or for supplementing the heat in larger spaces. Inset stoves - if you have a standard builder’s opening then inset stoves can be built into a chimney breast, leaving only the front visible. They can sit on the hearth or be placed further up the wall. Inset stoves are a popular choice where space is limited. 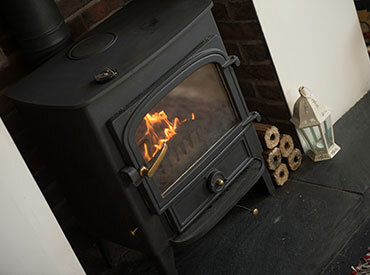 Whether you decide to pick a multi-fuel or wood-fuel stove, you can choose a range of smart designs from contemporary, modern stoves to traditional classic styles - but, to make sure appliances work safely and efficiently, it’s recommended that installation and servicing is carried out by a properly trained and registered person. In England and Wales the installation of wood-burning and multi-fuel stoves (or any solid fuel appliance) is work that is “controlled” under building regulations, as is the relining or installation of flues and chimneys associated with such heat producing appliances. You’ll need to submit an application to Building Control before starting such work - or employ a registered person to complete and certify the job as part of a self-certification scheme such as HETAS. You can also use a private building inspector. All stoves must meet UK building regulations. For example, there are specifications around how the flue is fitted, the size of the hearth or the distance of the stove from combustibles. These can all affect the type of stove you can have, so make sure you speak to an installer before buying. If you live in a listed building, this may affect your options and your local council can advise. An existing chimney or a new flue or chimney installation must be given a visual inspection to check that it is in good order. It also determines whether it is clear of obstructions and is of a suitable size and type for the appliance you plan to install. 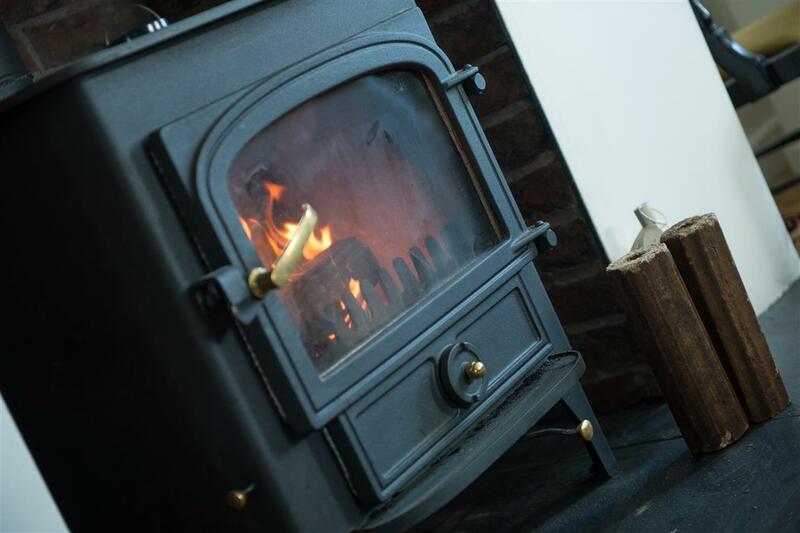 It may be necessary to sweep the flue - which should always be done before fitting a stove or lining a chimney anyway - and to also do a smoke test to check for gas tightness. Our recommendation would always be to get a safe installation that won’t cost you extra money in the long run. So once you’ve decided on your woodburning stove and you have it safely installed, then it’s time to order your clean and efficient Hotties heatlogs, which are made from renewable wood residues. Made in the UK from 100% timber materials, Hotties heatlogs are suitable for all log burners and stoves. They are denser and drier than other heat logs, Pinikay imported briquettes, and do not expand or crumble. They emit a powerful and reliable heat every time.